Amazon’s comic book pages in the USA, Canada and the UK are often the place to start comic book Cyber Monday shopping – but there are plenty others out there too. For 24 hours everything on our website can be yours for 20% off. New books, old books, if we have it on the website and it is still in stock, it’s yours for a great price. You’ll just need the super-secret coupon code (CYBER112717) to use when you check out. Major sale for everything on our online sale. 20-30% off everything on the online store! What is not in store we can get to you next day! There’s a DragonBall Kindle sale right here too. Skeleton Crew Studio are offering free U.S. shipping on ALL enamel pin set orders. And all orders placed on Cyber Monday will come with a FREE random enamel pin. Mile High Comics has over 300 different Marvel trade paperbacks at $5 each. SAVE 10% OFF ALL TOYS & STATUES!!! Plus, continue to SAVE 20% OFF BACK ISSUES!!! Featured Bundles include a Toy + Comic Book or Series of Comic Book Issues. Check out www.oregoncoastcomics.com for the official launch of the Oregon Coast Comics Online store! Kicking things off right with Cyber Monday sales on Comic Books, Cards, Action Figures, POP’s and Event Tickets. All comics, trade paperbacks and toys are 60% off (except this weeks new comics). Plus other deals you have..oh you get it! 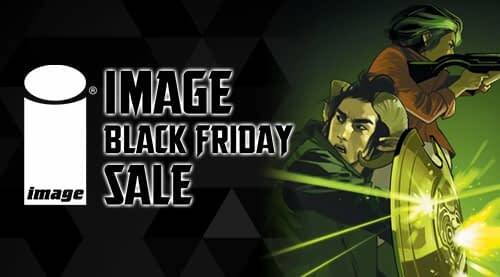 50% off Valiant graphic novels and collections. 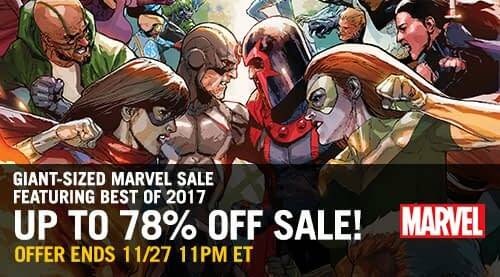 DC BOGOF deal on ComiXology with code dc17 at checkout; excludes titles released after 11/7, and Metal comics. So no Doomsday Clock either. There’s also a 50% off DC deal on Amazon Kindle. Use this coupon: cybertwenty at checkout and save 20% off all items site wide excluding CGC graded comics and MTG products Cyber Monday Sale ends Nov 28th! Already funded on this little 4-day campaign! Which DESTINY, NY limited edition cover do you want?